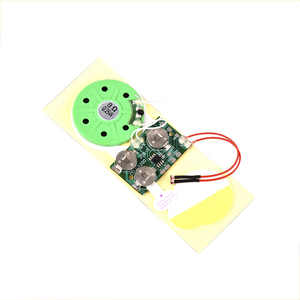 Component: PCB, voice chip, a speaker, MIC, LED indicator and batteries Battery : 3pcsAG10 Can be used for greeting cards, paper bags,toys and other OEM purpose. 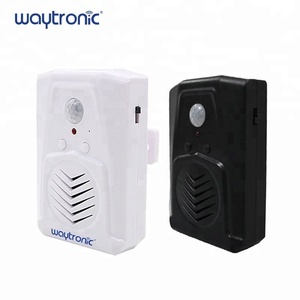 How to use it 9 Packaging & Shipping Motion sensor sound box automatic playing 1pcs /pp bag ,100pcs /carton ,carton size: 38x33.5x29cm .G.W. ,ltd has been committed to the development,production, and sales of electronics products. 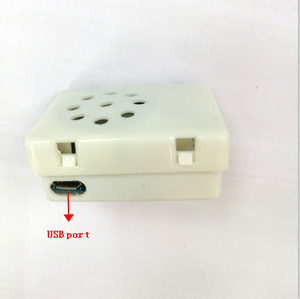 We can provide white flat shape and orange round shape, and we also provide ODM/OEM. We have white flat shape and orange round shape for your reference. 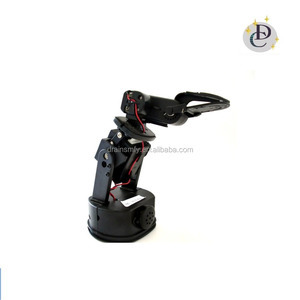 (2)If some parts are broken, we will send new parts to repair after confirmed. 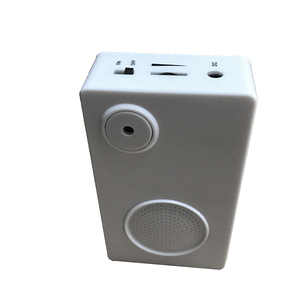 Motion sensor sound box/doll sound box Features 1.Motion sensor sound box 2.Any sound can be record as your request 3.OEM/ODM 4.factory direct sales price CE/ROHS/FCC/EN71 Motion sensor sound box for toys ABS plastic Size Existed or customized available Shape Round, square or customized Colour customized available Component IC,PCB,Speaker,Battery and other electronics duration 1-1800S customized even more Sound type music, melodies, voices, songs, phrases or any audio Sound format MP3, WAV Sound volume 70-90db Speaker size 29mm, 35mm, 38mm, 40mm,and so on Battery size AG10 or AG13 Battery life Use more than 500 times Buying Guides 1.The music length will influence the price 2.recordable ones price will be higher than pre-record one Packaging After-Sales Service Competitive price we can't say our price is lowest,but we can say our price is what client need Professional service from inquiry -&gt;make sample -&gt;start order -&gt; production-&gt;inspection -&gt; deliver Advantages Annie Ding Sales Manager Hangzhou Jingxin Electronic Co., Ltd. Tel/Fax: 86-571-82814786 Mobile: 86-13867197410 Skype :annie. ding7 we chat or whatsapp number :86-13867197410. It is finely finished with attention to details for reliable and lasting performance. Housed with cardboard and finely finished with attention to details for reliable and lasting performance. 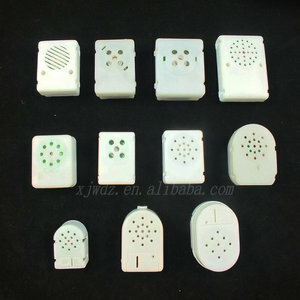 4.If you are want to find the other industry supplier, we are willing to help you. 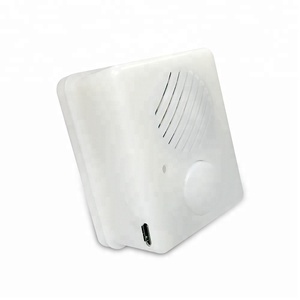 Our main markets are US, Europe, Russia and Japan while we can provide OEM/ODM service to our customers. 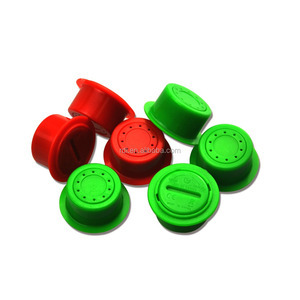 Q:Can you offer samples for test9 A: Yes, we can make samples as your require. 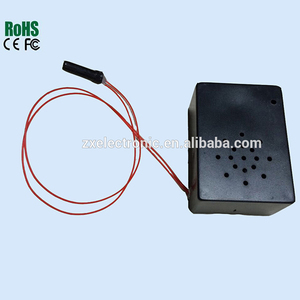 Q: Who will supply the sound file9 A: You can send us your sound file, or we find sound file for you. 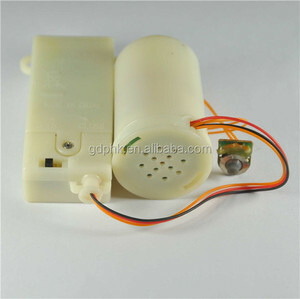 Alibaba.com offers 1,225 motion sensor sound box products. About 38% of these are music boxes, 32% are acoustic components, and 1% are other electronic components. 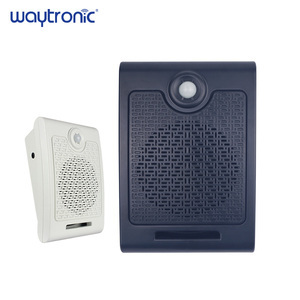 A wide variety of motion sensor sound box options are available to you, such as speaker, microphone, and buzzer. You can also choose from free samples, paid samples. 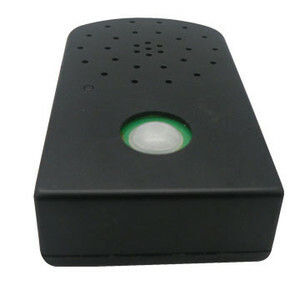 There are 1,234 motion sensor sound box suppliers, mainly located in Asia. 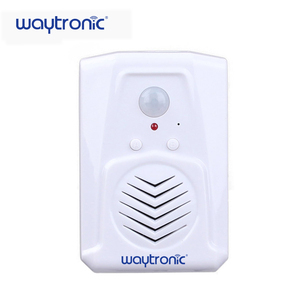 The top supplying countries are China (Mainland), Hong Kong, and Turkey, which supply 96%, 3%, and 1% of motion sensor sound box respectively. 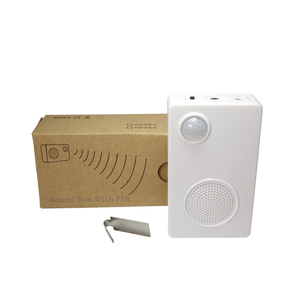 Motion sensor sound box products are most popular in North America, Southern Europe, and Western Europe. You can ensure product safety by selecting from certified suppliers, including 585 with ISO9001, 367 with Other, and 45 with GSV certification.